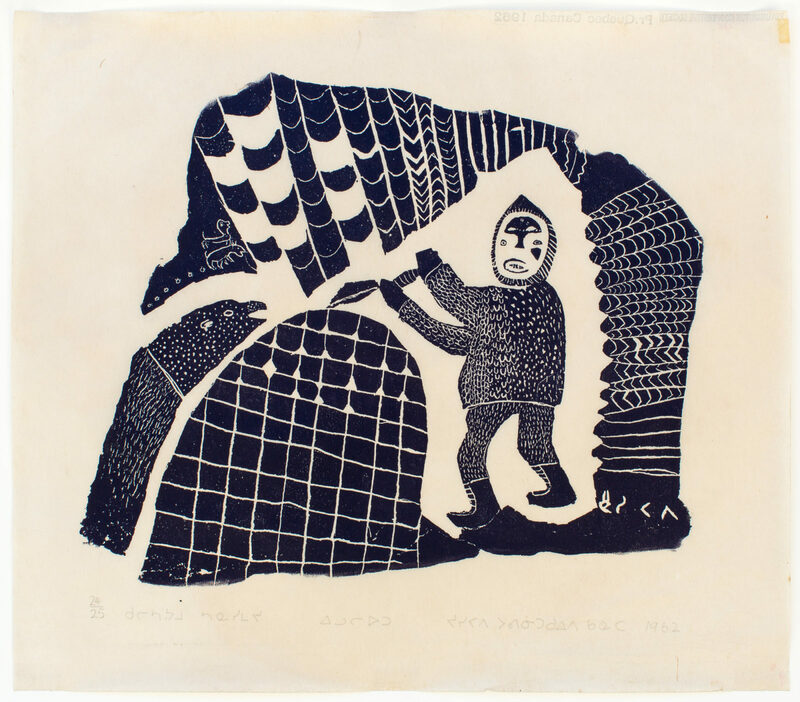 Building Igloo, 1962, stone cut, 24/25, 14 x 16.5 in. 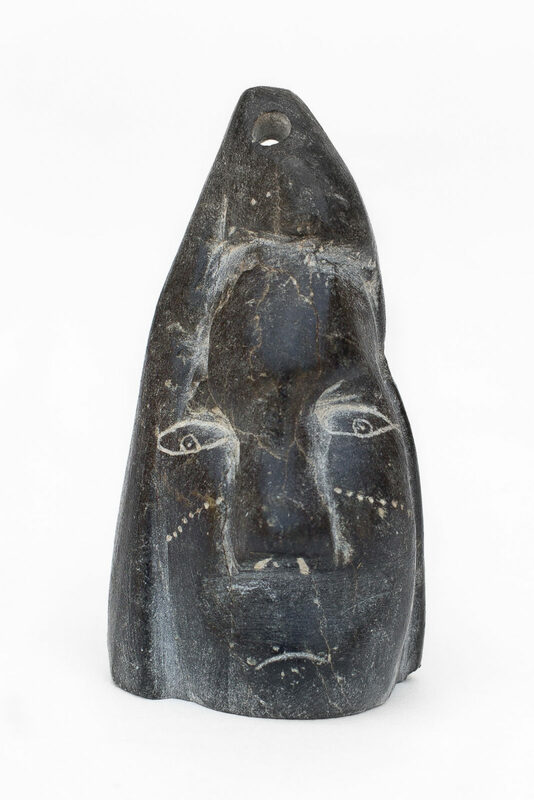 untitled (pendant), c. 1970, stone, 2.75 x 1.5 x 1 in. 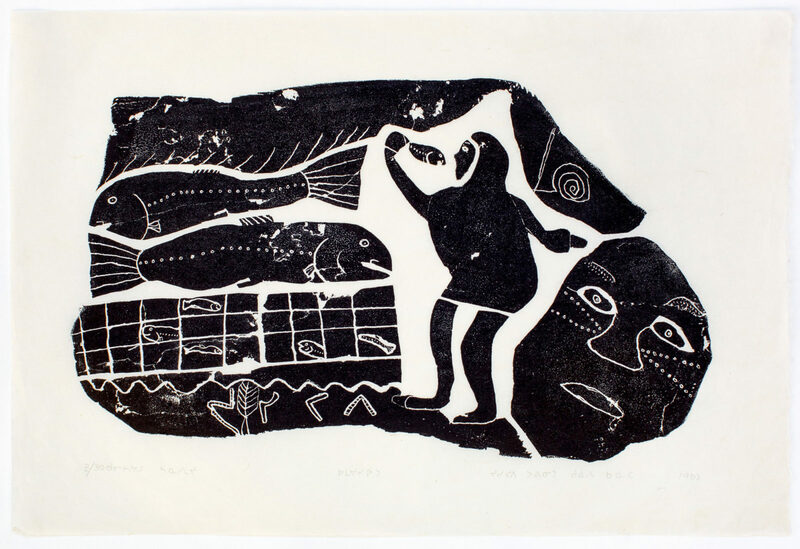 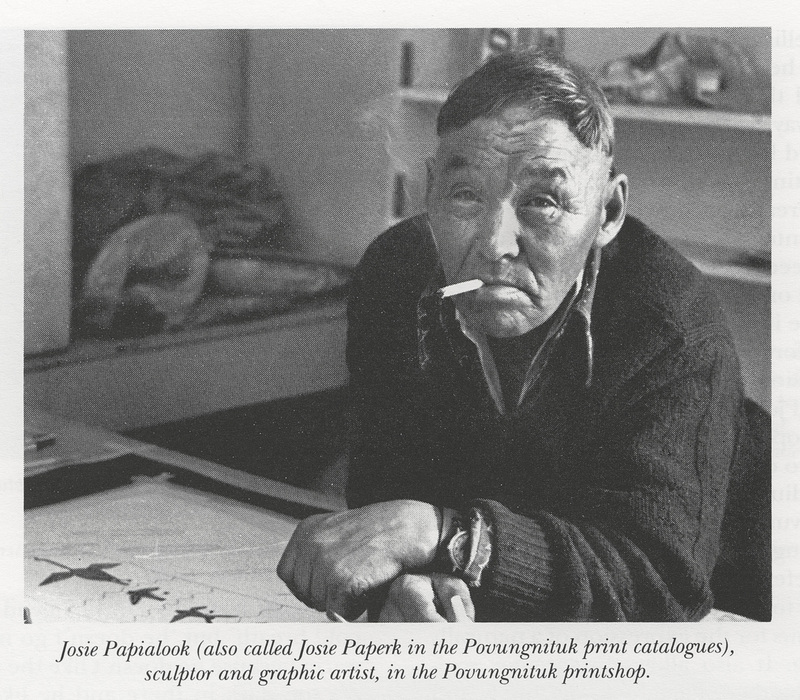 Fishing, 1963, stone print, E/30, 13.75 x 20.5 in. 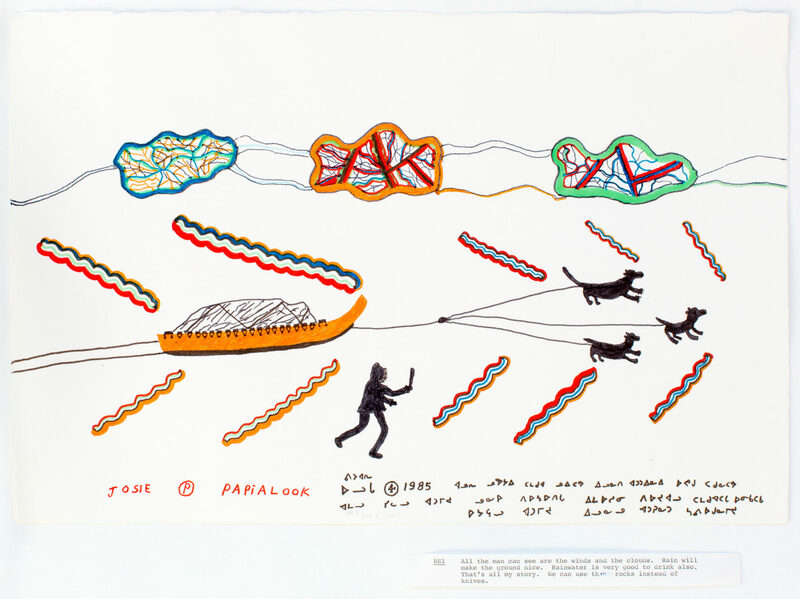 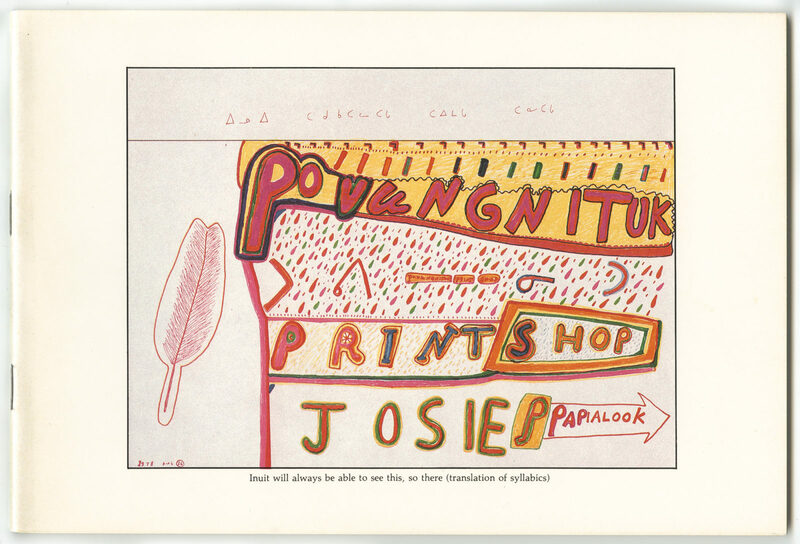 untitled (dog team, man and wind), 1985, felt marker, 13 x 20 in. 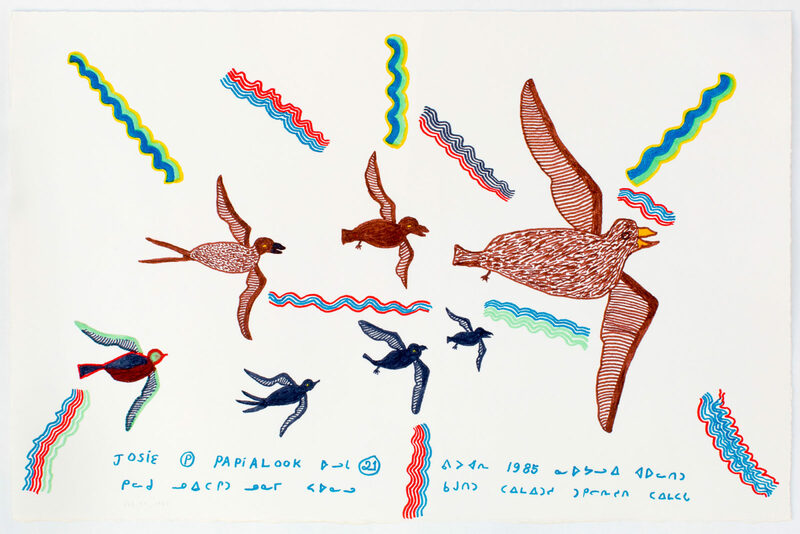 untitled (birds and wind), 1985, felt marker, 13 x 20 in. 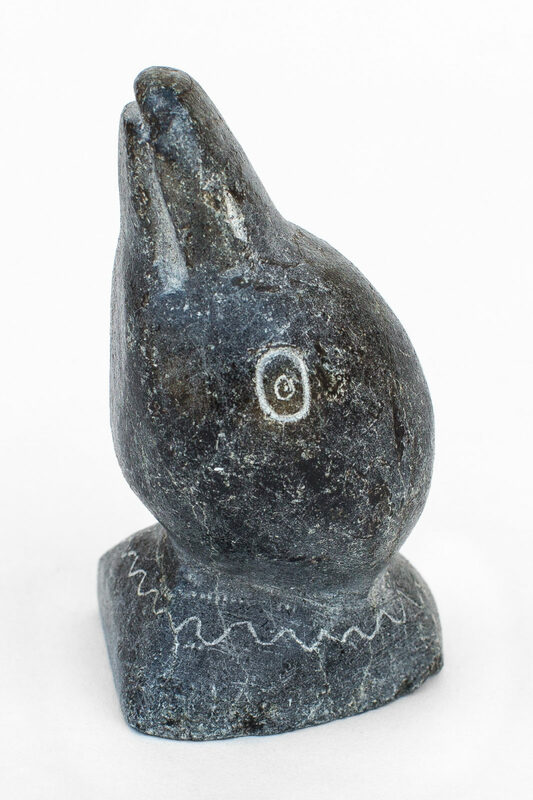 untitled (bird head), c. 1970, stone, 3 x 1.75 x 2 in. 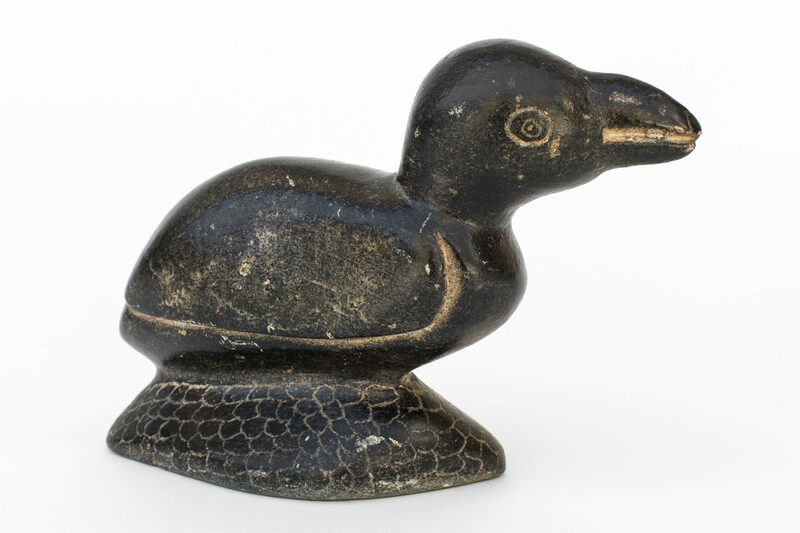 untitled (duck with branches), c. 1970, stone, 3 x 5 x 3 in. 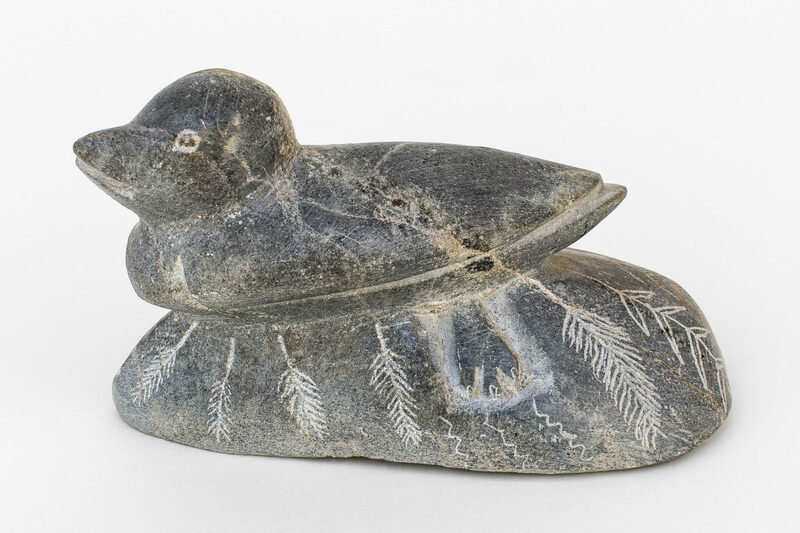 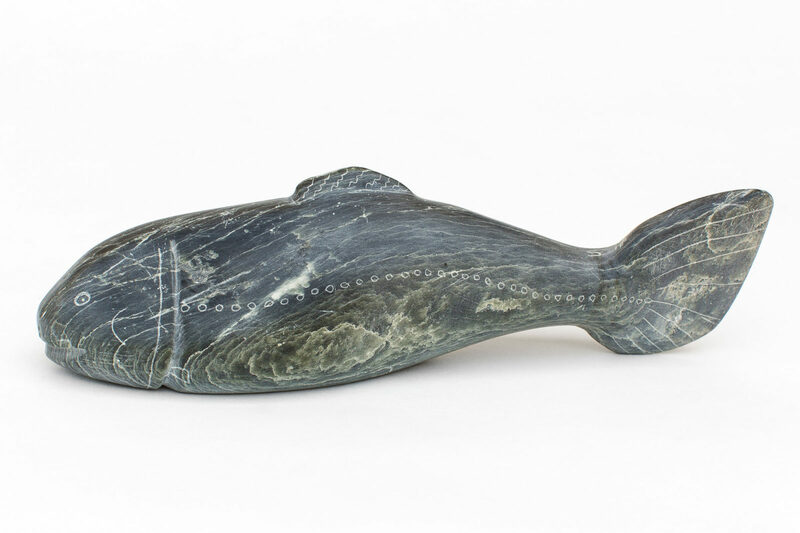 untitled (bird on base), c. 1970, stone, 5.25 x 4 x 2 in. 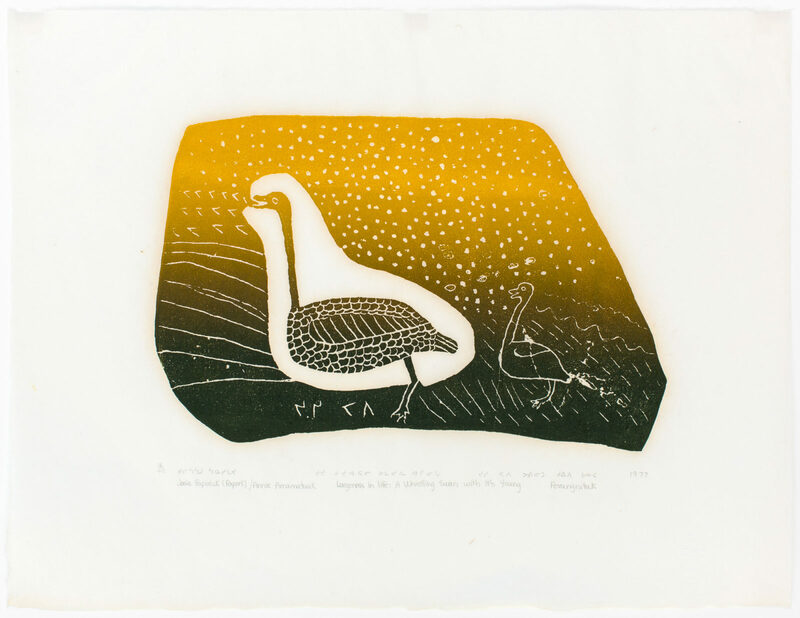 Largeness In Life: A whistling Swan With It's Young,, 1977, stone cut, 4/40, 19 x 24.5 in. 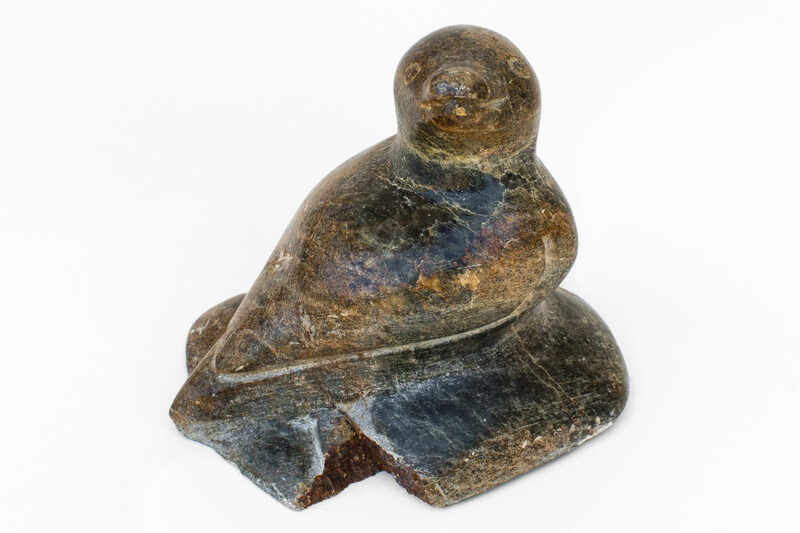 untitled (bird with broken foot), c. 1978, stone, 3.75 x 3.5 x 2.75 in.